By Becoming an ELITE Member..."
Yes! I Want to Upgrade to ELITE Member Status! It's your VIP Invitation to become a privileged member of COMMISSION BLACK OPS ELITE. Yes - when you upgrade on this page to become an ELITE MEMBER you're unlocking the highest level of money-making power possible. 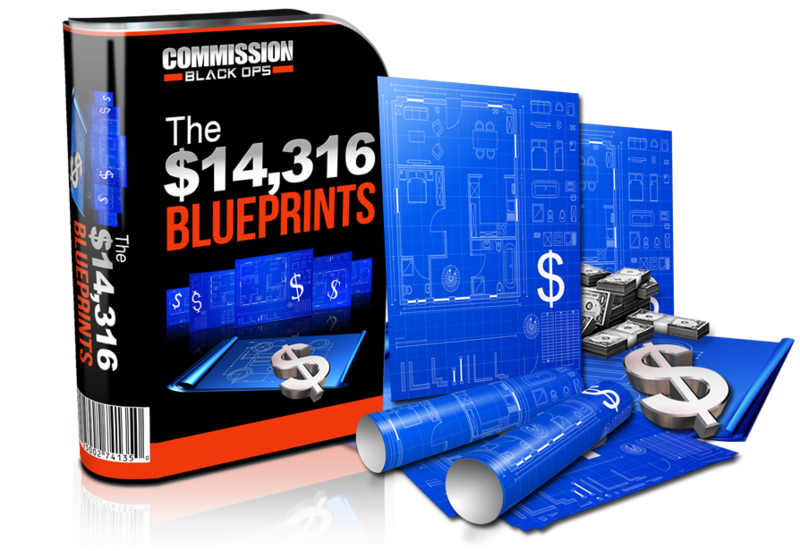 These TEN COMMISSION-CREATING BLUEPRINTS have already made $14,316 in commissions and now they're yours. 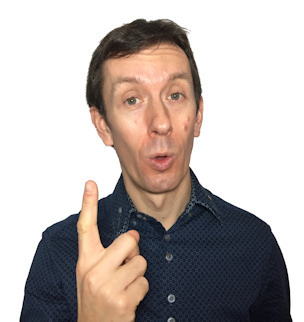 You just fill in the gaps on these copyright-free affiliate promotions then DEPLOY and PROFIT from them right away. Battle-tested and PROVEN to make money using powerful psychological "buying triggers"
The "Secret Seven Thousand Dollar Surveillance"
You get to watch over my shoulder as you see every single step I take to pull in $7485 commissions in just a few days. You can copy this method for yourself and start making money with this as soon as today. These 8 ready-made money-making bonuses will make you money - FAST. I've done all the hard work here so you don't have to. 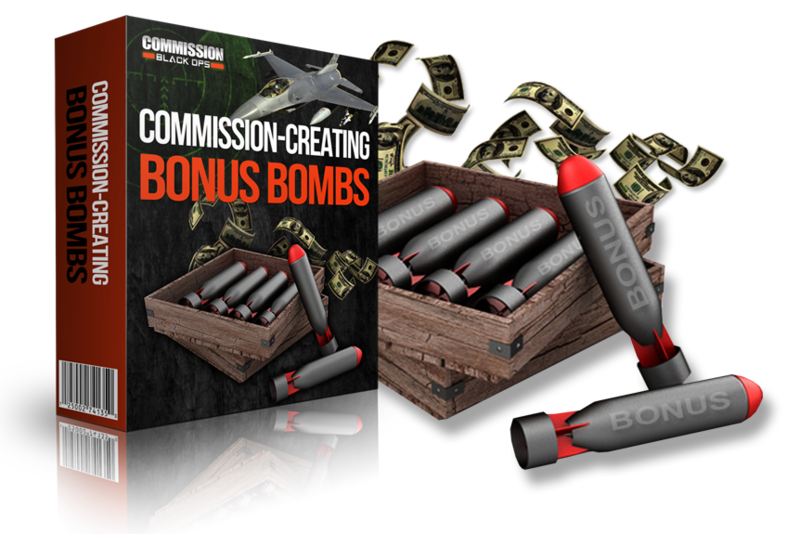 By creating the perfect bonuses for the internet marketing crowd you can ramp up your commissions quickly and easily. Forget slaving away for hours trying to create a bonus or picking through the "Private Label Rights Dumpster". You're getting all of these money-making tools for the low one-off investment of just $47. You won't see this offer again. If you leave this page this offer will be gone forever. You can start making money right away by becoming an ELITE MEMBER and grabbing all these commission-creating tools with no risk whatsoever. 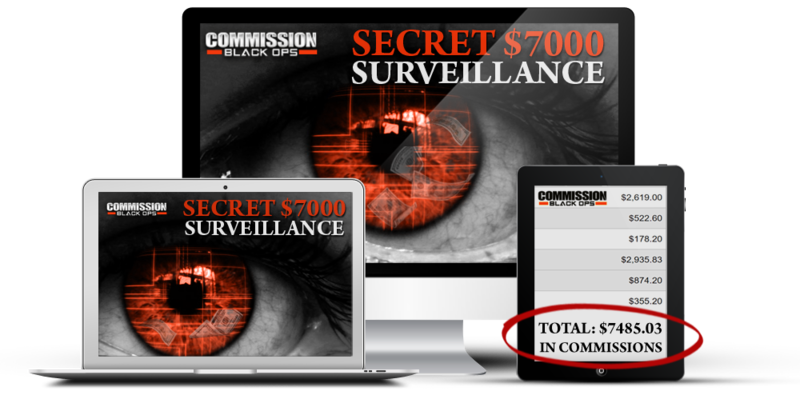 That's right - get access in seconds from now, just swipe and deploy the Black Ops Blueprints and Bonus Bombs and watch your commissions rolling in. Your investment in this is completely protected with our NO B.S. 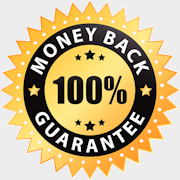 30 Money Back Guarantee. There is no risk whatsoever and I want to invest in becoming an ELITE MEMBER for the small, ONE-TIME, ONE-OFF investment of just $47.